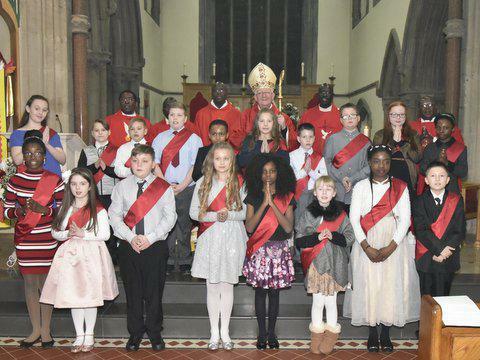 On Thursday 26th January 18 of our Year 6 pupils were confirmed in St Osburg’s church by His Grace, Archbishop Bernard Longley. The children looked extremely smart and were so excited to be taking this next important step in their journey of faith. Archbishop Bernard described St Osburg’s as a wonderful, vibrant and very welcoming school and parish community.